Posted: September 12, 2014 in Who,What,Where & When...? 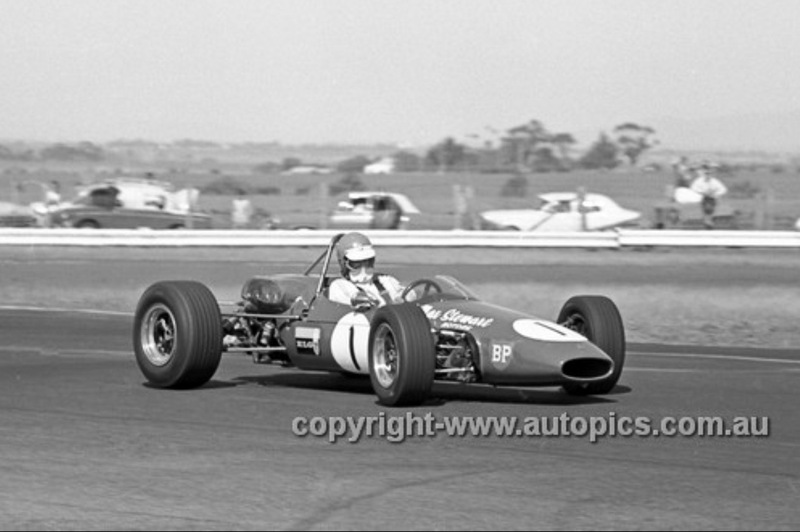 Phil West won the race of attrition in a Brabham BT23A Repco, many of the 2.5’s sidelined by one drama or another. But it was a wonderful result all the same. At the time Australia’s ‘F2’ was ‘ANF 1.5’ and our premier class ‘ANF1’ was the 2.5 litre ‘Tasman’ category. 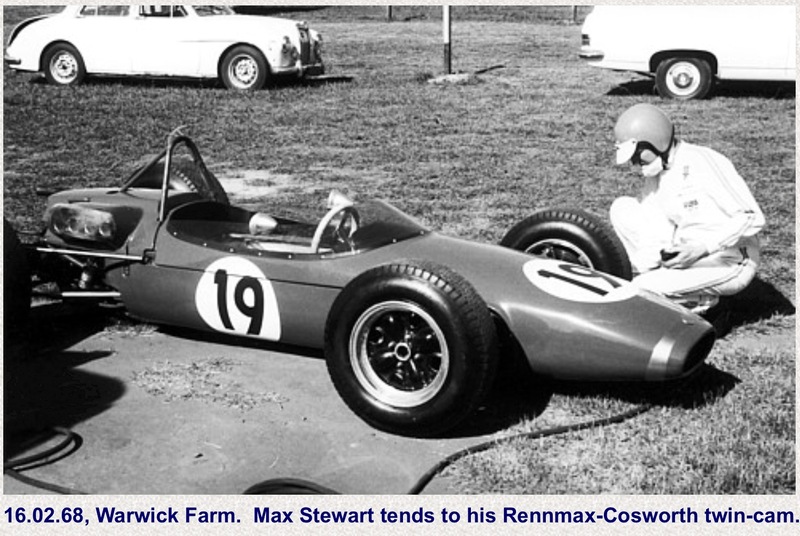 Many of us think of Max Stewart as an F5000 star, winning the ‘Gold Star’, then our most prestigious driving honour in 1971 and 1974 and the Australian Grand Prix in 1974 and 1975. 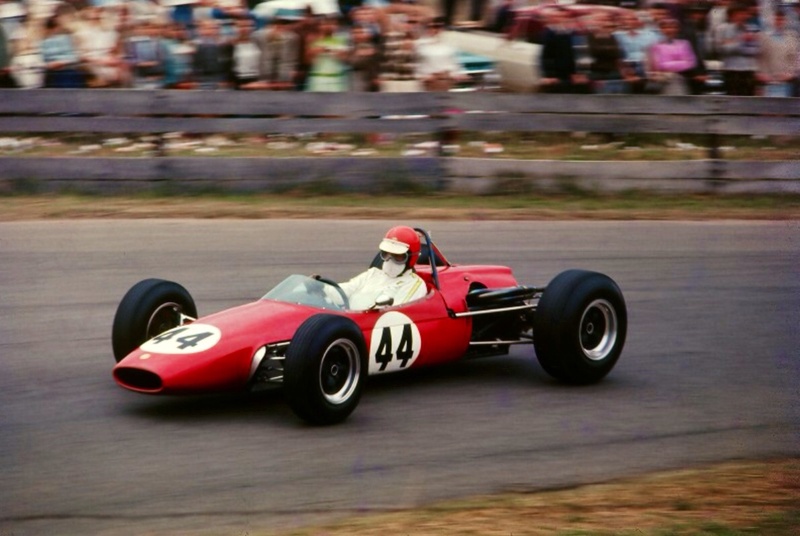 But his career started in ‘small-bore’ single seaters, his tall, lanky frame always poking out of the cockpit of the cars he raced..
Bob Britton, built many great cars in the 60’s and 70’s, and named them Rennmax. A motor-dealer living in Orange, in the Central West of NSW, not too far from Mount Panorama, Maxs’ performances in this car resulted in his recruitment by former Australian Gold Star Champion/Australian Grand Prix winner/Motor-dealer and prominent team owner, Alec Mildren to join a 2 car assault on Australasias’ premier class together with Kevin Bartlett in the following years. The success of Bartlett and Stewart over that time is another story but Max was incredibly competitive in the ‘Mildren Waggott’, another car built by Bob Britton, this time on a jig created when repairing a Brabham BT23 destroyed by Denny Hulme during the 1967 Tasman Series. 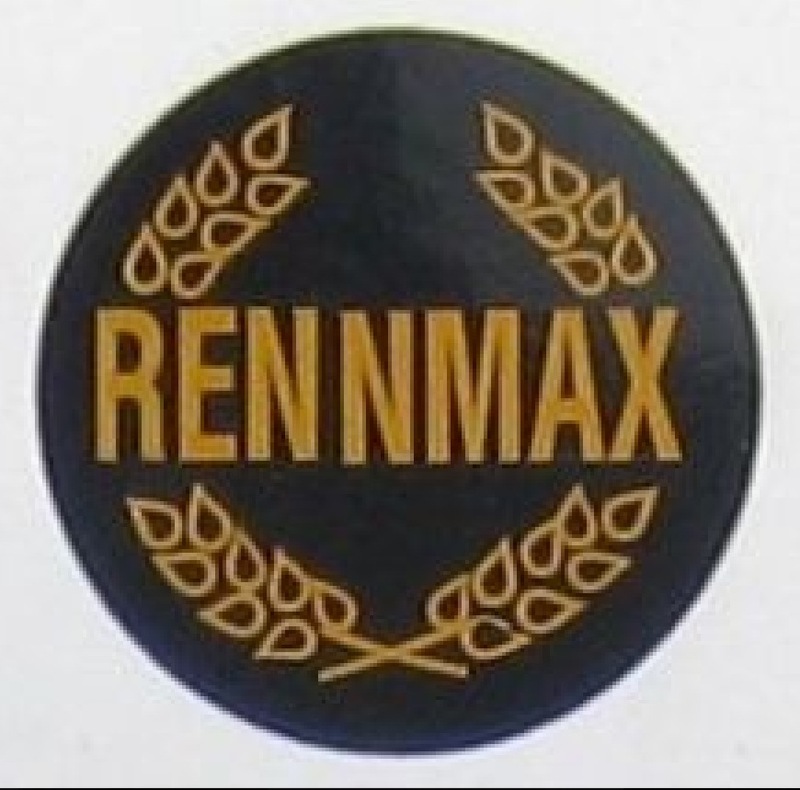 This series of cars are the BN3 Rennmax models. Stewart races the BN2 at Calder later in 1968, still half out of the cockpit but ‘full harness’ fitted by this stage .